SCOTTSDALE, ARIZ. –Third-generation, family-owned and operated Camelot Homes has won PCBC’s (Pacific Coast Builders Conference) Gold Nugget Awards: Home of the Year, Best Single Family Detached Home, Best Indoor/Outdoor Lifestyle for a Home for its newly completed White Horse community in Scottsdale, Arizona. Known as the “Academy Awards” of the building industry, the awards are presented to the top innovators in design, planning and development. The competition is open to builders, developers, architects and land planners across the United States and internationally. PCBC is the nation’s largest regional conference and trade show for the real estate development industry. More than half sold since its grand opening in February, White Horse has drawn 1,000 potential buyers on many weekends. Bob White with Forest Studio, of Laguna Beach, Calif., served as the architect; Pacific Dimensions, Inc., of El Segundo, Calif., served as the interior designer; and Berghoff Design Group, of Scottsdale, served as the landscape architect. 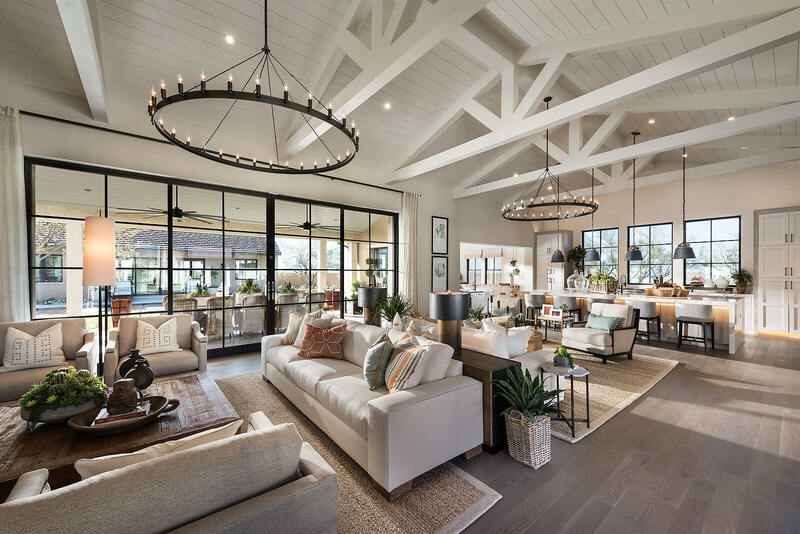 As part of PCBC’s Merit Awards announced in May, White Horse was honored as Best Single Family Detached Home 3,500-4,500 square feet (Cheval model 9502), Best Single Family Detached Home over 4,500 square feet (Cavallo model 9505), and Best Indoor/Outdoor Lifestyle for a Home (Cavallo and also Equus 9503 models). In April, White Horse won Best Detached Product Design for its price point at the Home Builders Association of Central Arizona’s 2018 MAME Awards.